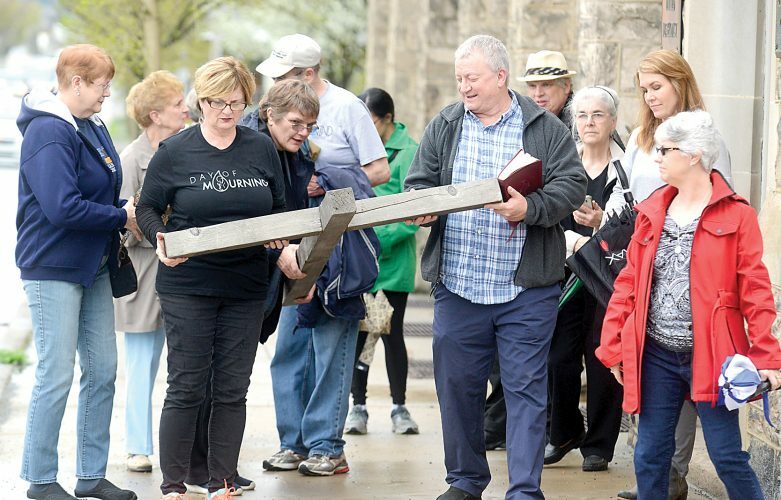 Mirror photo by Shen Wu Tan Area residents rallied Thursday in front of U.S. Rep, Bill Shuster’s Hollidaysburg office for the protection of Robert Mueller’s probe into alleged Russian collusion with Donald Trump’s campaign in the 2016 presidential election. HOLLIDAYSBURG — The appointment of Matthew Whitaker as acting attorney general has caused some concern among locals about the future of the investigation into Russian collusion in the 2016 presidential election. Attorney General Jeff Sessions resigned Wed­nesday at President Donald Trump’s request, according to his letter of resignation. Sessions had recused himself from the investigation, leaving the matter to Deputy Attorney General Rod Rosenstein. 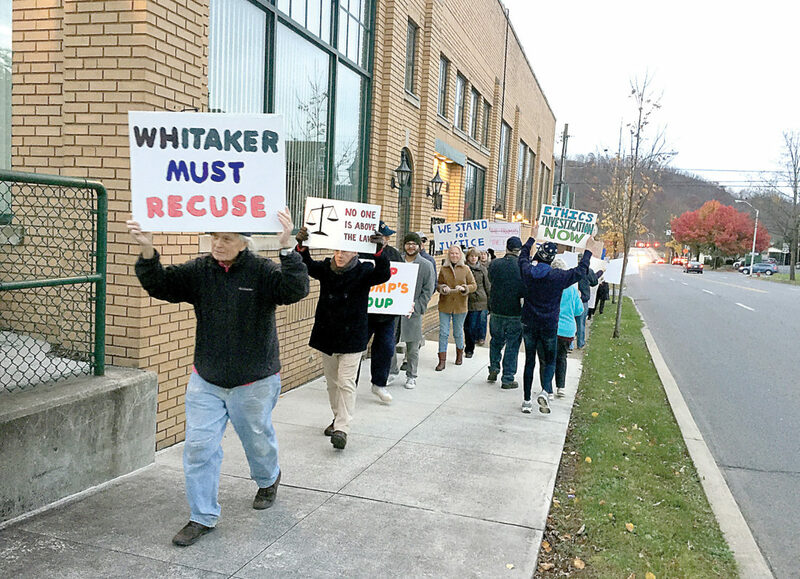 Several Blair County residents rallied in front of U.S. Rep. Bill Shuster’s Hollidays­burg office Thursday, demanding Whitaker recuse himself from possibly overseeing Special Counsel Robert Mueller’s investigation. Wagner said promoting Whitaker feels like interference by Trump because of the acting attorney general’s criticism of the investigation. “We need Whitaker to recuse himself from the supervision of this investigation,” Wagner said. “This is not a witch hunt,” she said, pointing out the indictments of Paul Manafort, Michael Flynn, Rick Gates and George Papadopoulos, among others. Multiple Russian intelligence officers, individuals and entities were indicted and accused of tampering in the presidential election as well. McGinnis described Whitaker’s oversight into the investigation as possible, reasonable and probable. He questioned why Mueller’s investigation has lasted two years, expressing his perplexion about its length of time. “The great issue here is what is Mueller doing?” McGinnis said, also noting that collusion is not a crime. “I’ve just been puzzled why it’s taken two years for Mueller to uncover: a) Was there a crime? and b) What was the crime and what’s his evidence?” he added. “What’s been going on? And why can’t Mueller wrap things up?” he asked. The local rally was part of a nationwide protest organized by a coalition of many public organizations with more than 900 locations registered across the country, according to a media advisory.